Four years after the abduction and death of his daughter, Mackenzie Allen Phillips is invited by God to revisit the murder site — a cabin in the Oregon wilderness. What he finds there will change his life. 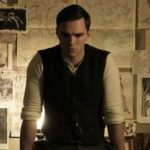 It is the most compelling recent example of how a word-of-mouth phenomenon can explode into a blockbuster when the momentum hits chain bookstores, and the marketing and distribution power of a major commercial publisher is thrown behind it ...the young daughter of the protagonist, Mack, is abducted. Four years later he visits the shack where evidence of the girl’s murder was discovered. 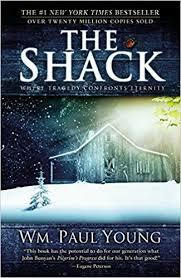 He spends a weekend there in a kind of spiritual therapy session with God...The shack was a metaphor for “the house you build out of your own pain ... He chose to make God an African-American woman, he said, because he wanted to alter religious preconceptions ...brought God alive in a way that I think few books in literature ever do. When the novel, The Shack, was released by author William Paul Young it created quite a controversy ... Some embraced the story as a creative depiction of how God works in our lives, while others dismissed it as “heresy” ... The book’s central character, Mack, receives a mysterious note signed by “Papa” inviting him to come to “the shack.” Papa is the name Mack’s wife affectionately uses for God, and the shack is a deserted cabin located deep in the wilderness ... It turns out the note is from God and Mack soon comes face to face with The Trinity ... God is Spirit and has no gender, even though the Bible often uses the pronoun "He" for God and describes him as a Father-figure ... The problem is that the author is attempting to describe the indescribable ... The Shack's depiction of God is an interesting portrait that isn’t meant to be taken literally as much as it is meant to capture many of the attributes of God that we read about in the Bible. The Shack, the story of a sad-sack Oregonian who meets God, was self-published by William P. Young in the spring of 2007 ... The Shack's success is puzzling in part because it is a book of puzzling intent. The novel's subject is faith in God, but it is written as if to a reader who has little interest in religion ... The 253 pages that follow are an effort to break past that skepticism—gently—and to show you, spiritually lost reader, that the Lord Almighty God is real, and in your life, and the best friend you will ever have ...a Christmas Carol-esque tale of redemption—and a serial-assassin thriller...Young's aesthetics are winsomely quirky and raw; reading the book is less like entering a church and more like entering somebody's sock drawer ... an eloquent reminder that, for those who give some faith and effort to the writing craft, there is, even today, the chance to touch and heal enough strangers to work a little miracle. What did you think of The Shack?